The “Internet of Things” is all about the ways we can connect as many of our devices and experiences as possible. It’s becoming popular in the home with smart devices allowing people to control everything from their security cameras to their lighting with their smartphone or tablet. Home automation technology continues to become more sophisticated, and the retail sector doesn’t plan on being left out. Just like IoT makes the home more convenient, efficient, and entertaining, IoT could transform modern retail. It will change the way the customer shops as well as the way the manager runs the business. Let’s take a look at some of the many areas where you can find IoT in the home before examining IoT in the retail space. From spotlight cameras to video doorbells to motion sensor lighting, there are all kinds of smart products that can help you protect your home and family. You’ll get a video feed that gives you all the information you need, right from your phone. The Amazon Echo and Google Home are two of the more popular digital assistants available today. They are both voice-activated, so you can leave yourself notes and reminders or have your assistant play your music just by speaking out loud. Automated thermostats and lighting systems can help you knock off a nice sized chunk of your energy bill each month. The Nest E is a learning thermostat that analyzes your habits to make your home comfortable without wasting too much energy. Automated lighting systems will turn on and off based on a set schedule, or you can control them from your smartphone or tablet. We are so connected to our technology that IoT has a direct impact on our physical and mental health. Use your smart water bottle and its associated app to make sure you’re staying hydrated and review your water intake. This comes in handy when you’re on-the-go and lose track of yourself on a hot day. If you have a habit of misplacing your phone or keys, a location tracker is a must-have. The Tile has already seen multiple generations and can direct you to your missing items with the help of GPS tracking. These are just a few examples of how we’ve integrated the Internet of Things into our homes and daily lives. Soon enough this technology will become the norm, and we will eventually come to rely on what we might currently consider luxuries. Many of the hot products in the aforementioned categories can be found at Target’s Open House. This revolutionary new concept toes the line between the retail experience and the digital world. When you visit Target’s Open House, you’ll have hands-on access to all of the latest and greatest smart products. Each individual product will be accompanied by a screen that shows the smart thermometer, toothbrush, or soccer ball in action. Everybody knows how convenient online shopping can be, but what if you don’t know exactly what you’re looking for. The Open House gives you a chance to gain a better understanding of any given product so you can make a confident choice. You’ll get to ask real people any questions you have, which is ultimately the beauty of retail. In-person service is helpful, but sometimes stores are understaffed and employees simply can’t give customers the attention they deserve. The Internet of Things aims to make retail more efficient by automating certain tasks, analyzing data, and giving the customer a better experience. Whether you’re a manager, a cashier, or on the floor team, you’ve got a lot of work to do to keep the business moving. Technology can make it easier for you to do your job and help you get tasks done quicker, which gives you more time to focus on the customer without being overwhelmed. IoT in retail takes care of some of the minor tasks, as well as absorbs data that you can use to optimize the shopping experience. Here’s a look at a handful of examples of IoT in retail. Smart Shelves — If it’s your job to make sure the shelves stay stocked, you’re going to spend a lot of your time walking around the store looking for holes and misplaced items. This might not be much of an issue if your building is on the smaller side; but if it takes you five full minutes to walk to the back of the department store to check inventory, you’re losing a good chunk of time just walking from one place to another. Smart Shelves help you keep track of inventory thanks to weight sensors and product tag readers. This means your shelves will know when an item is removed, how many products are left on the shelf, and when a product is stocked in the wrong place. They’ll even alert you when it’s time to restock so you don’t have to physically go and check. Optimized Layout — The physical layout of your store is a big deal. Customers should be able to find what they’re looking for quickly and easily so they can make the purchase and get on with their day. 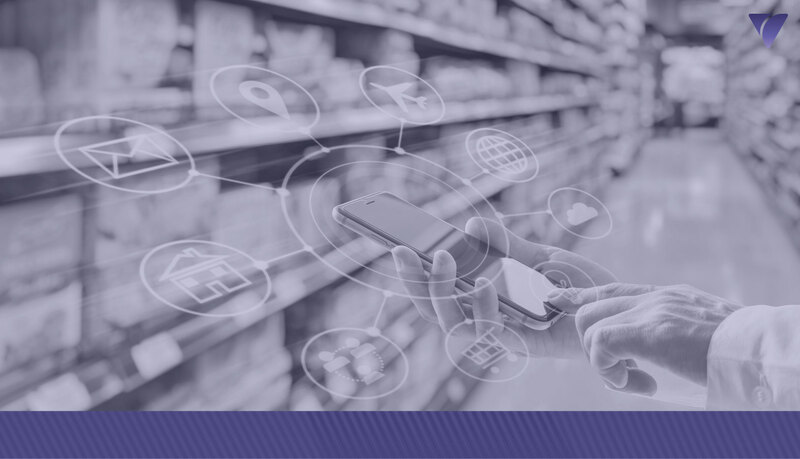 IoT technology like infrared sensors will look at the paths your customers take when they walk around the store so you can put the most popular products in strategic positions. You have to understand how your customers think in order to best meet their needs. Special Discounts — It’s nice to get rewarded for being a loyal customer. People can spend their money wherever they like, but they keep coming back to your store. IoT technology can automatically track customer loyalty by taking note of how frequently they come in. You can create custom coupons for people who shop with you a certain amount of times per week or month, and they’ll be automatically applied to the purchase. You can also organize discounts for specific products. If a customer is in the hair product aisle, his or her phone might pick up a coupon for a deal on shampoo. This can also sync up with the products that a customer has recently searched for online for more specific, personalized discounts. Automated Checkout — Let’s face it: Long lines are the worst. Lines can wrap around the whole store, and there are tons of things that can go wrong during checkout. By reducing the possibility for human error, the Internet of Things can make it much easier to leave the store with your products. We already have self-checkout systems in many grocery and department stores, but these systems aren’t fully automated and can still contribute to long lines and frustration. With a fully automated checkout system, the idea is that the tags on each of the products a customer leaves with will be read automatically. Customers would download a mobile app and add a balance or payment method, and the cost of the purchases would automatically come out. The Internet of Things describes the smart home revolution that’s been occurring, and it’s ready to take on retail. New technology has changed the way we live at home, and it’s about to change the way we run our businesses.